NASSCOM, the global trade body has put its focus on the BPO industry in India. This body has taken a special initiative to rebrand the Indian BPO sector. It has to be said in this respect that the BPO industry is a staggering $18 billion worth. Though there is no shortage of clients and big processes for the companies, but the problem lies elsewhere. Companies are not able to provide the quality of work they would desire to. What is barring them from providing best quality work? It is the agent attrition rates. The major problem with this industry is the coming and going of agents. Each time an agent walks into a BPO company, there is detailed training and consultation provided to the person in a bid to make him/her perfect match for the company and the processes therein. But sadly, a large portion of the agents leave the organization no sooner have they settled in. To change the image of BPO industry as a join and leave place, the NASSCOM has decided to rebrand the industry. The organization feels this rebranding will project the BPO services in India in a different light and thus reduce the attrition. What is the need of rebranding? The results of a study undertaken by NASSCOM provided interesting pointers which could be used for rebranding. The boom came in BPO industry about seven years earlier. This means the employees have grown quite used to getting quality work and being involved in quality processes. So, they decide to move once they feel they have seen it all under one company. This leads to very high attrition rates. With the span of the industry the ambitions and plans of the employees are changing. What was earlier a way to earn some quick bucks can now become a prosperous career. This is what the NASSCOM wants to project in their rebranding. They want to preach about the importance of staying put with a company for a longer span of time, suppose three to four years. The experts believe that once an agent sticks around with a company for such a span of time, the bonding and career growth would be such that the person would not want to change companies unless there is an absolute need for it. In their rebranding bid NASSCOM wants to portray the importance of career stability to the youth. They want to tell stories where agents have prospered by staying put at a single company for a long period of time. 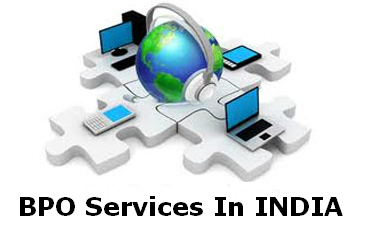 Over the last seven years there have been many changes in the Indian BPO industry. Some of these changes have been instigated by the rising competition with new players coming into the industry (such as Philippines, Guatemala, Honduras, etc.) while others are just a resultant of the changing needs of clients. The face of customer service is changing and the Indian BPO industry is changing likewise. New client support areas such as social media and chat support are becoming popular. So, the BPO industry which was once known solely for voice processes is now expanding its arm into new areas. A recent study revealed that 58% of all outsourced work belongs to knowledge based processes, while 42% are voice processes. This statistics clearly points to the maturation of Indian BPO industry. If product support was a specialty of Indian BPOs in the past years, now there are new types of work flowing in. BPOs are taking up work from banking, HR, insurance, recruitment and legal processes. This is why many experts prefer to call the BPO sector as Business Process Management (BPM). The name itself suggests a more important role for the companies in their client processes. The present attrition rate now stands at 25-30% which is very high. The governing body wants to project the BPO services in India in a new light so that youth are more attracted towards BPO jobs. The concept of BPM may force the youth to be more serious about their roles in their respective organization. In the BPO sector, employee retention is a big factor towards client satisfaction. So, keeping the employees will definitely boost the processes and help Indian BPO industry touch new heights.